Today Only $269.95 (GST Inclusive) — An Unbelievable Value! Earn up to 16.75 CPD Hours — included in the price! 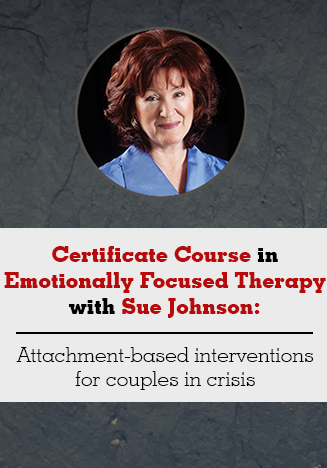 Get instant access to all six parts of the comprehensive training plus the three FREE bonuses — all designed to help you effectively integrate Emotionally Focused Couples Therapy (EFT) into your practice. There is no expiration date on accessing the online course – it’s yours to keep forever and view at your convenience! Instantly collaborate with other professionals on the course materials through interactive message boards, and complete your online CPD tests directly in the portal to earn up to 16.75 CPD Hours! Complete your online CPD tests and earn up to 16.75 CPD Hours! Click here for total course CE Credit.